Silica is everywhere. It’s part of bricks, concrete and mortar. It’s in tiles and the slates on our roofs. It’s found naturally in stone and rocks. Even some fillers and plastic composite products use silica. Left alone, silica is safe. But if you work on materials that are made up of silica, you’ll be releasing dangerous silica dust. 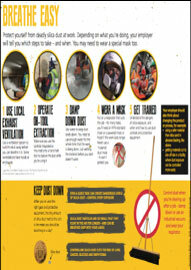 Silica dust can be harmful if you breathe it in. 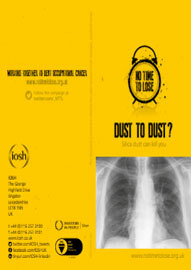 Silica dust particles are much smaller than normal dust – and they can get deep into your lungs and stay there, permanently damaging the lung tissue and eventually leading to serious lung diseases in some people. 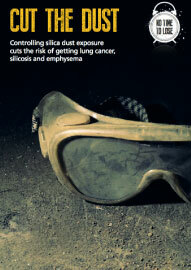 Silica dust can cause cancer, silicosis and diseases like emphysema and bronchitis.